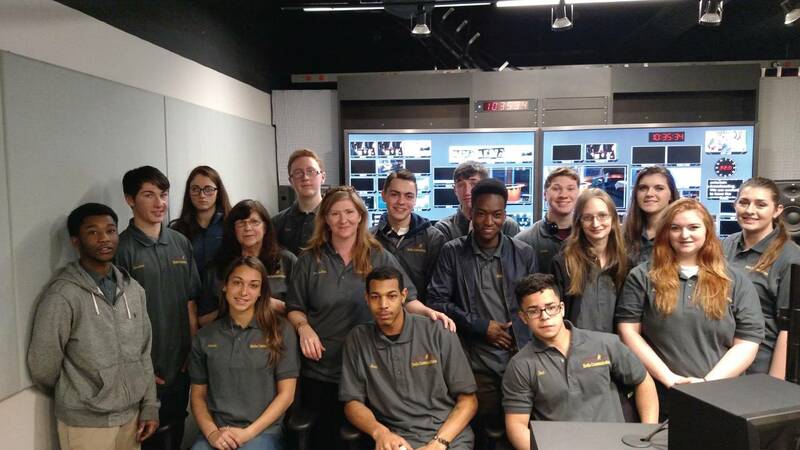 The week beginning February 29, 2016, my Questar III BOCES Media Communications program traveled to Troy to learn about WMHT Educational Telecommunications. 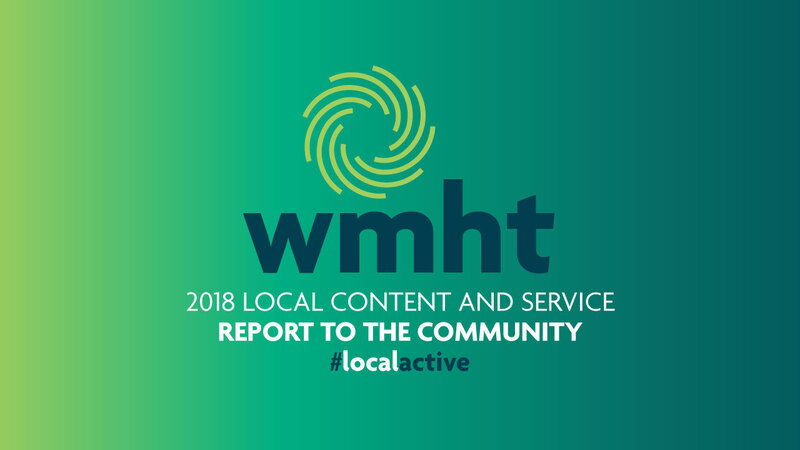 WMHT is a full-service public broadcaster that operates public television stations; public radio stations; and facilitates an extensive educational and community outreach service. After the 11th and 12th graders in our program took a tour of the facility, my fellow 12th graders and I, broke into three groups and job shadowed in different departments: Education, Radio, and Television. Two of my classmates, John Ford and Jake Heath, went to work with Producer/Director, Joanne Durfee in the Television Department. Ms. Durfee arranged for them watch the filming of New York NOW, a capital region news program produced by WMHT in one of the studios. John and Jake also filmed and edited a video that included interviews with Producer/Director, Nicole Van Slyke and Associate Producer, Ezekiel Kubisch. John particularly enjoyed working with Producer/Director, Tony Grocki. Kurt Warner, Studio Director/Producer, took them through what it takes to produce a show in the studios and what goes on in the control room. They also got to experience the process of closed captioning. It was a complete surprise to find out that closed captioning is done by an actual person typing directly onto the screen in real time. In fact in the case of New York NOW, it was typed by a person sitting in a studio in another state! Kaylyn Holiday and Albert Wynn, two other 12th graders from the Media Communications program were occupied in the Radio Department. They learned about RISE, the 24-hour radio information service for the blind and print disabled; WMHT-FM 89.1/88.7 the capital regions classical station; and EXIT 97.7 FM an adult album alternative format radio station. Bill Winans, Operations Manager, brought them into the radio studio detailing how everything worked. Katie Gorham, Radio Operations Assistant, and Chris Wienk, Vice President/Radio interviewed them on air. “Katie went out of her way to make it a great experience for us,” Kaylyn said. They cataloged music and spent time in the radio studio. “Everyone was very experienced and really encouraged me,” stated Albert. 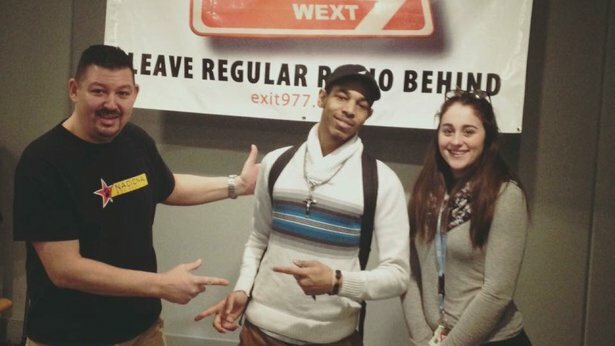 Kaylyn and Albert also got to make their own playlist to play on EXIT 97.7. I worked in the Education Department with Jennifer Baumstein, Community Engagement Coordinator and Katherine Jetter, Vice President/Education. I learned that the Education Department doesn’t just go to schools and hand out lollipops. They create fun educational activities, support the community, and address problems in schools. I was given the opportunity to evaluate a potential activity to run at a Girls in STEM event. STEM is Science, Technology, Engineering and Math. The middle-school aged girls scheduled to be at the event would have only forty-five minutes to complete the project that I picked. The one I chose challenged students to make an eighteen-inch tower that can hold the weight of one tennis ball and endure the wind from a fan. Students would have use of string, popsicle sticks, straws and tape to help stabilize and build the tower. To make sure the activity would work in the time allotted, I did the activity myself. I made the tower out of paper and tape with a cardboard base. My tower didn’t tip over when we used the small fan, but when we turned on the big fan it fell over. Even though it wasn’t perfect we all felt that the girls could learn from failing and keep trying to improve their design. Helping plan for that event was the highlight of my experience at WMHT. It was nice to be able to leave the classroom to see what it’s like to work in a real office. 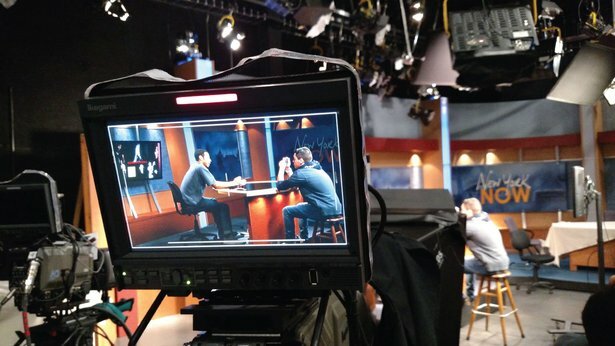 “WMHT was a great experience, and I would love to do it again. It was great working with all the technology,” agreed Jake. We really valued the experience we had at WMHT. We wish to thank everyone there. They really made the involvement special.